Our Margarita Machine Headquarters is based in Mansfield, Texas just down the road from the Great city of Midlothian. We know you have a choice for margarita machine rentals, but we deliver the Fastest Freezing Taylor 43o commerical margarita machines made. Did you know our Taylor 430 margarita machine will freeze in less than 15 minutes in 100 degree weather. Also these Talylor 430 State Of The Art frozen drink machines will not freeze up. If you want to rent a margarita machine and Save Money, we also have a margarita machine rental package you can pick up from our Mansfield location. 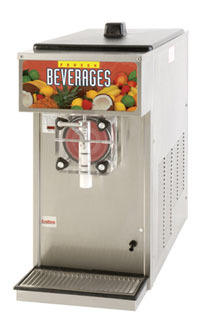 Our Commercial Grindmaster 3311 frozen margarita machines our included in our Dallas / Fort Worth Pick It Up Pack.